As the number of podcasts seem to grow exponentially, the chances of the consumer finding new podcasts decrease just as much. Enter Otto Radio, one of a new generation of podcast curators. 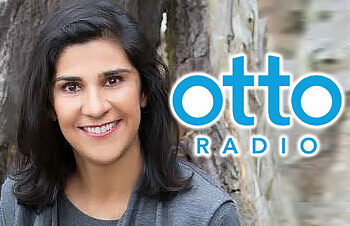 Here, VP/Programming and Audience Development Reenita Malhotra Hora explains how Otto Radio sifts through the avalanche of available podcasts and finds the ones that are perfectly geared for their growing audience's tastes. What made you decide to leave Bloomberg for this opportunity at Otto? Bloomberg is a fantastic company that produces fantastic content. I had an amazing ride there. My decision to leave and join Otto was much more driven by the fact that as person, I am an innovator who is very keen to work with new media. Bloomberg is wonderful in what it does, but it definitely didn't have the opportunities in the new media field that I have here in San Francisco when comes to digital audio. All of my background and experience can be served on this platform; there was no way I wouldn't take this opportunity. Especially since being an innovator by nature, the opportunity to get in at an early stage and grow the company was too great to pass up. What are the main challenges in your job; what do you hope to accomplish? We're a small company, so of course we don't have the kind of resources a Bloomberg does. That can be a challenge; you need to have the mindset of achieving as much as you can with as few resources as possible. That's a good discipline to have, but it still is a challenge. It is by no means a detriment to work small; if you run a tight ship with a close-knit crew, you can achieve quite a lot of power in teamwork and unleash different skills you perhaps didn't realize you had. You can achieve quite a lot that way. Otto Radio helps us reinvent radio. At one time, radio was about listening to a box in the kitchen or living room, or in the dashboard in a car. And you can still find that today, but Otto Radio helps you use radio when you get out of the house or the car; it enables you to program some of your favorite stations and podcasts - the current concept of radio -- wherever you're going, to walk the dog, do the dishes or whatever, it's there for you. Are there specific kinds of podcast content Otto Radio is looking for? We are looking for great stories that audiences want to hear. That is a very simple answer to that question, but the need to be relatable is fairly basic, even if the story or content itself may be complicated. But the bottom line is fairly simple: You want your consumer, whether it's a radio listener, a movie buff or someone who goes somewhere to buy something, you want them to leave the store or finish the content satisfied. That's why the storytelling aspect must be there. If your product is not entertaining or engaging, the less likely the consumer will learn something from it. In a nutshell, we look for high-quality content where the storytelling tools have been utilized to entertain, engage and educate. Is it easy for Otto to find that kind of content? There is a lot of content around but does all of it meet those various criteria? I would argue absolutely not. You are right in the sense that there's a lot of out there, but our job is to wade through all of that to find content matches for our audience. 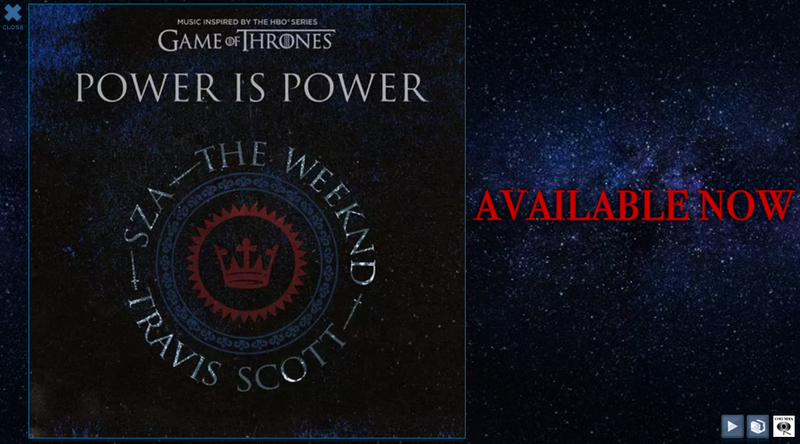 I love certain kinds of content -- pop culture, business and do-it-yourself. We're picking and choosing quality content, then bringing it to the consumer. This is one of the reasons Otto Radio has carved out a niche in the marketplace, by helping with discovery. We're matching the interests of our consumer to aid in their discovery, which is something other digital platforms aren't doing. Do you focus on a specific audience demo, be it age or psychographic? In terms of our audience, we approach 21-65-year-olds, with a slight skew to the younger end. It's definitely a better educated audience, with a higher household income than the national average. Our users tend to be more executive, productivity minded, and very high-tech minded. In other words, it's an ideal audience from a monetization standpoint because they're very interested in listening to audio content. As far audience development goes, we're getting into behavioral entertainment, which makes the listener more productive on the go. We're servicing an audience that multitasks constantly throughout their day. Do you foresee yourself getting into -- or have you already participated in -- "bidding wars" of sorts for quality content? Otto Radio works primarily as a vehicle for intelligence distribution. We match quality content with the listeners who want that. Podcasters loves this model because it works like a positive marketing channel for them. We do not actually host the content; we're always passing download credit back to the original host. With that in mind, we're not entering into bidding wars of such and don't see any issues going forward. What's the best way for Otto to attract quality content providers? We provide analytics of our audience to content providers. This gives content producers an edge in shaping and marketing their content. We're also creating some original content while we constantly look for good, quality ideas from those who want to produce original content. For them, it's very simply a matter of getting in. What kind if competition does Otto face in attracting its audience ... and how do you see Otto standing out? As well as offering a vast range of content like traditional satellite, broadcasters and podcasters, we want to offer a more intelligent, crystallized and personalized experience for the consumer. It's all about discovery. There's all these different channels and platforms with content; how do I find just what I'm looking for? Who can help me discover shows I haven't heard, yet would really like to hear? That's how we stand out. We aid in that discovery and bring it to you based upon what we know about you. We're continuously learning about you through Otto Radio and our artificial intelligence. There is nothing here that is static; it's always dynamic, always changing. I come purely from the content side, but the amount of interaction with my team members in engineering has created a product design that is more amazing than anywhere else. When it comes to presenting audience-driven content, our editorial meetings go something like, "What's the next best show we can create to serve to the public?" We're constantly seeing who our audience is and what they are like, and how their tastes have changed over the past year. What are they clicking on the most? Be it new categories or app features, we continue to learn from them and adjust our offerings. How often do you keep tabs on the audience's changing tastes? Once a month is way too little; we monitor them weekly at the very least. In fact, we look at stats every few days. Certain topics stand out in them every single day or at the very least, once a week. That's not tough to do; it's a matter of discipline that you get used to doing. It's like you can't get through a morning without checking the weather forecast. What are the best ways to market Otto and raise its profile? We have a lot to market; we've got 45,000 podcast channels and close to six million episodes --5.8 million episodes, to be exact. That's a lot of content that's delineated by things like the name of the artist, long-form periodicals, and audio versions of our own original content. We're doing a heck of a lot to raise our profile. We've done some advertising on Facebook, but not TV ads. Our most effective marketing tool is word-of-mouth. People like to hear and see what others like - and a lot of our audience is building through people who just catch on to Otto and love to keep track of what we offer. Do you have goals or targets in terms of audience size or programming library? Right now, as we speak, we're largely focused on America, but that doesn't mean we're not interested in the rest of the world. We're looking at very large numbers. We don't disclose our user metrics, but if we stay on our current trajectory, we'll hit all of our goals in five and 10 years. What do you see in the future for Otto and for podcasting in general? First, I see the future of Otto being extremely bright, for all of the reasons I have given you. As for podcasting in general, that's a very interesting question. Podcasting has exploded, as we all know, and I really think more people will continue to grow the business. However, the word "podcast" has almost become way too general; it could mean anything and everything. Everyone can create one; I can sit here in my living room and chat with my friends, record it, and call it a podcast. You go from that to a highly produced show such as This American Life. The podcast I'm concerned about goes beyond a circle of friends to a definable audience. Podcasts are much like the book publishing industry. At one time, we trusted top-quality publishers. We still do to a point, but they're now in a space filled with self-published books from anyone who thinks they're a writer. That's happening with podcasting. On one hand, it's not entirely a bad thing, but on the other hand, the bad-quality stuff makes it harder to find the good-quality stuff. It's going to be interesting to see how that shakes out in the future and whether that trend will continue or not. Otto wants to offer quality podcasts for people on the go, who cannot be stuck in one place and who want to hear a variety of content for their personal space -- and they can't get that from just one radio station.